American Accent Undergoing Great Vowel Shift Professor William Labov, a University of Pennsylvania linguist and author of the new book Atlas of North American English Phonetics, Phonology and Sound Change, says there is a shift of vowel sounds in the inland northern cities. He calls it the "northern city shift." 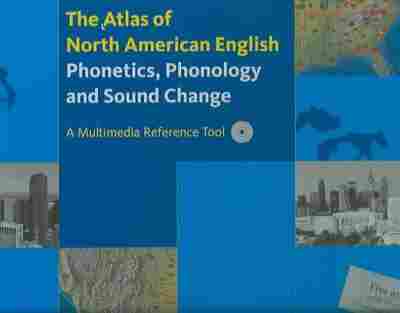 Professor William Labov, a University of Pennsylvania linguist and author of the new book Atlas of North American English Phonetics, Phonology and Sound Change, says there is a shift of vowel sounds in the inland northern cities. He calls it the "northern city shift." This is ALL THINGS CONSIDERED, from NPR News. I'm Michele Norris. P: Phonetics, Phonology and Sound Change. He calls it a snapshot of our rapidly changing language, mergers of sounds that used to be different, splits of sounds that used to be the same. Now, you might think that our regional differences are being eroded by national broadcasts and our personal mobility. Not so, says Professor Labov. WILLIAM LABOV: The opposite is true. Whatever the influence of the mass media are, it doesn't affect the way we speak everyday. And the regional dialects of this country are getting more and more different, so that people in Buffalo, St. Louis and Los Angeles are now speaking much more differently from each other than they ever did. SIEGEL: The way in which we can hear that online at your Atlas, is by clicking on a location and hearing the way a particular word is pronounced in that place. I was clicking on man in many different places. LABOV: Yeah. Well, man has been raised from man to men to men in many parts of the country; and it's not the item that makes us so different. In some parts of the country, only the words that end in M and N sounded like that. So understand, animal, [unintelligible] ad version, Spanish. But in the inland north that we've investigated so closely, every single word spelled with the letter A goes up. So we not only have man, but we have mat, and that, and attitude, and athletic. LABOV: Well, say up, because it means that the point of the tongue that helps form the vowel is higher up in the mouth. But the difference between man and man or man. The short vowels in English, pit, pet, pat, have been standing still for a thousand years, while the long vowels did their merry chase. It's called the great vowel shift. But long about 1950, the short vowels in Chicago, Detroit, Cleveland, Buffalo, Rochester, began to move. It's called the northern city shift. SIEGEL: The northern city shift. LABOV: Yeah. It's new and it's extraordinary, and now the people in that region talk more differently from the rest of the country than ever before. SIEGEL: Really? That is the great difference, to be either from the north or the rest of the country. LABOV: Well, the inland north, the area of those big cities, about 34 million people are doing this. I could just play an example I happen to have here. In these experiments we carried out in Chicago, Atlanta and Birmingham, we played individual words for people such as this one. VOICE: Living on one block. LABOV: And then the full sentence. VOICE: Old senior citizens living on one block. VOICE: The bosses with the antennas. VOICE: I can remember, vaguely, when we had the busses with the antennas on the top. LABOV: And they realized that this person is saying the word bus the way they say boss. So that's just a few little samples of this great rotation of vowels, which means that when people come to Chicago, Detroit, Buffalo, or Rochester, they think they understand everything they hear, but there will be a lot of misunderstandings. SIEGEL: You once pointed out to me some years ago a troubling fact, which is that if one doesn't make a distinction in one's own speech, one may not hear it in other people's speech. LABOV: Half of this country has a merger of the word classes, cot, caught, don, dawn, hock, hawk. You can hear the difference as I'm saying it. SIEGEL: I can hear the differences, yes. LABOV: But if you came from Los Angeles or Pittsburgh, those words sound pretty much the same. There are lots and lots of mergers that are taking place. Some of them are almost finished. For example, which and witch used to be different in two-thirds of the country. Now, there's only in a few people who make that difference. I'll exaggerate it. The voiceless one sounds like, which. It's like blowing out a candle. When. And the other W, or the way we pronounce it mostly today is, when. SIEGEL: These are called mergers, where sounds that used to be discreet and different are now pronounced pretty much the same. LABOV: Yeah, and it's a one-way deal. That is, the area that has the merger is going to expand at the expense of the area that has the difference. SIEGEL: One interesting merger I'd like you to talk about is the merger between do, I do, one says at the altar, and the dew on the grass in the morning. LABOV: The d-e-w word used to have a little glide, dew; and that's largely disappeared. But the difference in the vowel remained. So people used to say dew and do. When I worked in New York City, I used to ask people, can you say, I do? And they would say, yes. Can you say, I do? And they would say, yes. And I would say, can you talk about the dew on the grass? And they would say, yes. But what about the do on the grass? And they would start to laugh because that could only mean a dog's leavings. So that little difference was there. SIEGEL: We, of course, encounter a version of that every hour here, which is when we have to say that now you're going to hear the news. LABOV: But if you think about that sound of news or dew, it's astonishing to discover that throughout all of North America, a sound is moving forward towards the French sound of ieu. So that a ghost used to say, boo, but today, everywhere in North America, the ghost says, boo. Can you hear the difference? SIEGEL: Why do you think this happens? Why do you think that after some years of most people pronouncing the word one way, there's shift towards pronouncing a simple word another way? LABOV: We have certain theories about the mechanical factors that do this, and then sometimes it turns out that there's a social value that people put on certain sounds. In the case of these mergers, most people don't notice them, and they just happen without a single person realizing that the merger is going on. Language is not very stable. SIEGEL: Now, for all of the mergers that you report on, there's at least one split you teach us about, and that's the split of the short A sound, which at one time would be very different when it appeared in ham and, I guess, man. It was very different at one time. No longer. LABOV: In New York City and all the cities of the mid-Atlantic states, there is this curious split which we chase back ultimately to its origins in the 13th century in England. But today, New York City has its system, and Philadelphia has its system, and they're quite different. In New York, we say, cab, mad, flag. But in Philadelphia it's cab, and flag. And only three words before D of that sound, mad, bad, glad, as against, sad, dad, fad. So it's like a lock and key system. And you can easily recognize a speaker from those cities by the fact that they have that intricate pattern. And I don't mean to suggest that all the dialects, older dialects, are changing and developing. The small ones are going to the wall and disappearing. If you have a city of a couple hundred thousand, the chances are its local dialect will disappear. But it won't go into the direction of standard English. Rather it will merge with the regional dialect and strengthen along with it. SIEGEL: Well, William Labov, thank you very much for talking with us today. LABOV: Good talking to you. SIEGEL: William Labov is one of the authors of The Atlas of North American English Phonetics, Phonology and Sound Change.